Take to the water in one of our stable touring kayaks as the sun slips behind the horizon and the moon climbs into the evening sky. We time our Sunset Full Moon Kayak Paddle to correspond to when the best Light and shadows play on the water as the sun sets and the full moon rises. 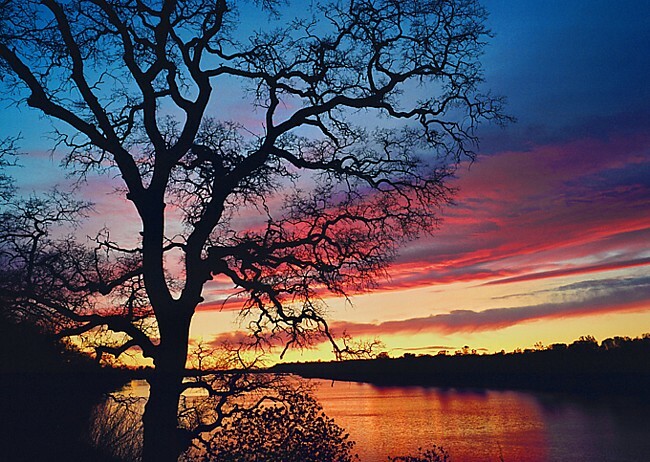 The sounds of animals and birds settling down at twilight on the stillness of Lake Natoma or Jenkinson Lake awakens the senses as you paddle stealthily by. Glide silently across the lake in your kayak, soak in twilight’s peaceful enchantment. We’ll run through basic paddling techniques and safety considerations before setting off to cut our quiet paths across the water in this most unique kayaking experience. Bring a friend and turn it into a romantic excursion or take the whole family for a true moonlight kayak adventure! Cost: $59 includes all equipment. Prerequisites: None – Discover Kayaking recommended. 16 years old and under welcome with an adult. Anyone can join us on our peaceful and yet exhilarating Full Moon Kayak Paddle on Folsom’s Lake Natoma or Jenkinson Lake in Pollock Pines. From the inexperienced to the Kayak Pros! We explore the hidden places that few others even know about and make a soft kayak adventure out of it for all skill levels. We also provide all paddling equipment, so you don’t have to worry about anything except meeting us there.